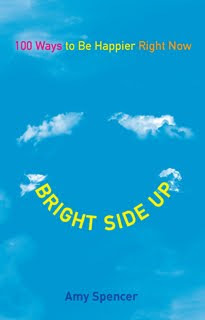 Love That Max : Looking at life from the bright side up... plus, happiness giveaway! My happiness is seeing my 6year old with Cerebral Palsy take a few steps without me holding on. My happiness is his smile when I come home from work. He can't use the words "i love you" but his smile and the way he pulls me in for a kiss make me happy. On a side note Ellen, I just discovered your blog in October and I LOVE it. It also makes me happy! This book looks awesome! I can't wait to get my hands on it. My happiness is seeing both my girls laugh & smile. No diagnosis can steal that happiness! Ellen...thank you for continuing to spotlight different people that are making a difference! My idea of happiness is allowing myself to be in the moment, rather than thinking of the million things I need to do or the myriad ways I screw up every day. Looking in my daughter's eyes and really listening as she tells me a long, rambling story from her day at preschool - and falling more in love with her every day - that's happiness to me. My email is jennypecht@yahoo.com. Thanks! My idea of happiness is being surrounded by the ones I love the most and seeing them happy. My idea of happiness is the progress my little boy makes. Today he pretend-sneezed after I sneezed! Seeing my children happy, that's definitely my ultimate idea of happiness. Happiness is hearing my daughter giggle while she plays with her dad. happiness for me lately has been the ability to appreciate the moment, without worry for the future or regret about the past. My idea of happiness is when Tal, David and I snuggle in the morning in bed. Well, we try to snuggle but David wants to play and honk our noses, giggling hysterically. Heaven. Hi -- I loved this post and I'm so glad you got Amy to write here Ellen. Happiness is my son learning to write at age 17! He's never been able to write, so to see him writing in his Kumon books is a thrill. He was never able to sign cards properly before, but yesterday he signed a card: Thank you, Ben and it was so exciting I got out the camera. Oh. I love this. My happiness is definitely seeing Carsyn smile. Many people are unhappy because they do not have what they want. It can be difficult or impossible to control getting what you want. The really happy people are those who want what they have. Don't believe me? Ask any other happy parent of a special needs "child.". Mine is 34. My happy moment of the day is when I snuggle my little Zach in the Nicu and his breathing gets stable. He loves to be held! Ellen, I owe you several comments. I love your Max and your blog! Happiness is having to buy a bigger bib for my granddaughter who has decided at 18 months it's time to try and feed herself! Bring on the messes - it makes my heart sing to see her progress. I really wanted to stop by and tell you that when I look at your son, I do not see a disability. I honest to God see one beautiful, vibrant boy full of life and potential. I was reading through your blog and saw you mentioned people have looked at him and said, "poor thing!". That infuriates me like no other. I promise I'm not just saying this but your son is very handsome! I truly think he is adorable. Today, my five year old daughter made bowel movement sitting in her toilet seat, that now is the fifth day running without taking lactulose!!! Share happiness!!!! Any moment of calm in our household is a happy moment for us, sharing a laugh in the moment and forgetting all the daily stresses for awhile. 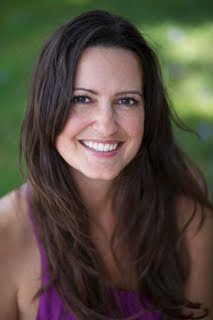 Jennifer K.
For me, I think happiness is remembering that each day is a gift and a miracle. Even when it's hard. Just taking a minute to really look at the people in my life to remember that it's a miracle that each of them is here to live the day with me! The unconditional love my special daughter gives me...her forgiveness of my short tempered days, her excitement at seeing me, her words of love and affection ...make me extremely happy!! My idea of happiness is a big hug from one of my students with special needs when my day has been less than great. He makes me smile regardless! My idea of happiness is taking one tiny moment and savoring it, living in it fully, and filling myself with graitutde to God for it. I believe God gives us millions of these moments, and we largely ignore them, too caught up in the Great Big Busy to even see them. My idea of happiness is counting the positive qualities in my life and then thinking of ways I can make a difference for others. One of the ways is that I'm working toward my degree in occupational therapy. I'm excited to hopefully help many people gain their independence and make the most out of their life. This week my idea of happiness was skyping my out of state kids and seeing my grandson who had just fallen asleep and just watching him. SO peaceful, even 600 miles away. Great blog Ellen! Too long without communication. Happiness for me is watching my two girls play nicely together and knowing that they will always have each other. happiness is finding people in my life who "get" what it means to parent kiddos with special needs. rare and much appreciated!! Happiness is hearing my 10 year old with apraxia say the M in milk for the first time. Awesome feeling! My idea of happiness..to be able to put everything aside and just enjoy the breeze, the sun, anything beautiful that is around me at that very moment..my daughter gave me the ability to do that, even if just for a moment. Children just know how to do that and it's up to us to relearn it from them! Happiness for me is listening to my son chatter about anything and everything. At 3 and 1/2 years old he has recently started forming "sentences" and I can't wait to hear what he has to say. Yesterday when he said "Happy Valentine's Day Mom" I think I was the happiest I've been in awhile. One of my favorite things to hear him say is "I wuv you Mommy". It is just miraculous!